I have blogged extensively about Hyper-V, VMM and Katal lately, and this blog post is part of this unstructured blog series, where I today will focus on chargeback. As part of the SP1 release, Microsoft introduced a framework for Chargeback. 1. You must have your private clouds configured in Virtual Machine Manager. In order to get Katal up and running, this is key. 2. You must integrate SCOM and SCVMM so that the configuration items and objects are discovered by SCOM, and monitored. This is important since SCOM will give you some reports for the chargeback solution. To import the Chargeback solution, read the rest of this blog post. 3. SCSM will get the configuration items from both SCOM and SCVMM and let you create price sheets that you can associate with your clouds. Now, the third step mentioned here might not necessarily be a requirement to have a qualified chargeback solution. However, Service Manager may give you some additional features and dynamic, as well as extended reporting capabilities. This blog post will not include Service Manager, but be limited to SCVMM and SCOM to get the most out of it. The links above contains relevant information and guides on how to configure the Fabric resources with all the new capabilities in Windows Server 2012. Follow these steps to create a private cloud in Virtual Machine Manager 2012 SP1. In ‘VMs and Services’, click ‘Create Cloud’ from the ribbon. This will launch the cloud wizard. Select which resources should be available, at the host group level. If you have added a vCenter and VMware infrastructure to VMM, you can also add a VMware resource pool. Select logical networks. In terms of abstraction and the new way to do networking in VMM, it’s important to select a logical network that is associated to a VM network. The tenants will access the VM networks in the portal, and you must create them whether you like it or not. A VM network can either have isolation (with network virtualization) or not, which is using the logical network directly. Select Load Balancers. Currently in Katal, there is no support of deploying Services. Only virtual machines. Select VIP templates. VIP profiles is to no use if you’re not dealing with services. If this is a cloud that should be accessed by App Controller as well, both load balancers and VIP templates will be relevant since App Controller supports services. Port Classifications. The classifications that should be interested to make available in a cloud, would be the classifications associated with VM networks. Choose all that apply. Storage. Specify which storage classification that should be available in this private cloud. Library. Choose a read-only library and eventually a library where the tenantes can store their virtual machines. For Katal, this may be too much to expose, and you can just use the templates you make available to Katal afterwards, if that is appropriate. Capacity. Configure the elasticity of this private cloud. If you don’t specify any values here, you can scope the quota in Katal afterwards. Click finish once you are done. Logon to your Service Management portal to create Plans. To access the Service Management portal, you must use the correct port as you specified during installation. Default is 30091, and the tenant portal is using 30081. Navigate to ‘Plans’ in the Service Management portal and click ‘New’, and ‘Create’. Select a friendly name for your plan and click next. Select services for a hosting plan. In my case, I only want to provide a virtual machine cloud. Back to the portal, we can se that we have a new plan, but there’s still some configuration to do. Before tenants can subscribe to the plan, we need to make it public. Click on the plan to configure it. You will see ‘plan services’. Click on ‘Virtual Machine Clouds’ to configure the plan. Configure the plan to connect to both your ‘Cloud Provider’ which is the SPF server. In my case, I’m using Orchestrator and SPF on a single machine. Configure the Virtual Machine Cloud. The cloud I created in VMM will be visible here, and I can use it together with Katal. If you scroll down further, you must also specify the quota, templates, hardware profiles, networks and actions that should be available for the tenants. Once you’re done, click save, and then click ‘Make public’. Navigate back to ‘Plans’ in the Service Management portal and verify that the newly created plan is Public. I have now created a plan in Katal that is exposing my cloud in VMM, ready for tenants to subscribe and create virtual networks and virtual machines. Note that there’s several other options during these steps, like advertising, invitation code and different control mechanisms that I won’t cover in this blog post, but it’s worth to take a closer look at for real world deployments. Once you have the pre-req in place for SCOM and SCVMM integration (IIS, Windows Server and SQL MPs, SCOM console installed on SCVMM server), you can setup the integration within the SCVMM console. Click on ‘System Center Settings’ and launch the ‘Operations Manager Server’ wizard. The first page will tell you what you need to have in place prior to running this configuration. Specify the server name of your SCOM server, and the credentials to access the management group. I have given my SCVMM service account the required permission in my lab environment. Take actions if you want to enable PRO and integration for maintenance mode between SCVMM and SCOM. I recommend you to enable both to get the most value from this integration. Click next once you’re done. Configure connection from SCOM to SCVMM. I use the same credentials here, since SCOM will use my SCVMM service account when connecting to the SCVMM server. Click next and finish, and SCOM will import the SCVMM MPs from SCVMM during this process. To verify the integration afterwards, review the log in SCVMM, check the Operations Manager connection, and also see in the monitoring pane in SCOM that the MP is viewing data from SCVMM. Log on to the Operations Manager management server. In the Chargeback folder, copy the subfolder named Dependencies from the Service Manager management server to the Operations Manager management server. On the Operations Manager management server, start Windows PowerShell and then navigate to the Dependencies folder. For example, type cd Dependencies. After the script has completed running, type exit, and then press ENTER to close the Administrator: Windows PowerShell window. Ensure that Operations Manager has discovered information from virtual machine manager such as virtual network interface cards, virtual hard disks, clouds, and virtual machines. Navigate to the Reporting pane in Operations Manager Console. Find the System Center 2012 Virtual Machine Manager reports and launch the ‘Chargeback’ report. Before running the report, you must include some data. Choose between hosts, services, VMs, clouds and so on, and specify the date. To get an overview of the costs associated with these resources, you can specify cost for memory, CPU, VM and storage classification. Run the report once you are ready. Hopefully this blog post showed how you can have a chargeback solution with System Center and Katal. 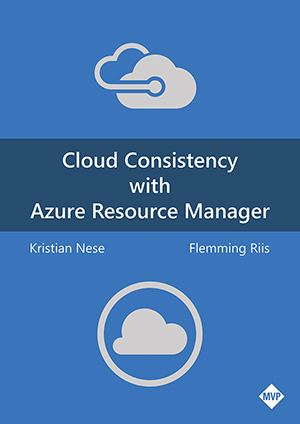 Once the tenants starts to subscribe on a plan that again is connected to a cloud in VMM, you can easily run reports towards that cloud to get an overview of how much resources they are consuming. When you have added a new Hyper-V host to Virtual Machine Manager 2012 SP1, and configured the host with a logical switch, you will probably get some errors when trying to add this node to your cluster. "Please add a network adapter to the host and set the Logical Networks on the adapter to match the cluster network." If all this is good, then you’ve hit a known issue in System Center 2012 SP1 – Virtual Machine Manager. This will be addressed in an update for Virtual Machine Manager. To add your Hyper-V host to the cluster, use Failover Cluster Manager. Refresh your cluster in VMM afterwards. Real World example of using the new capabilities in Windows Server 2012, Hyper-V, and System Center 2012 SP1. Let me start this blog post by explaining how glad I am that we are finally here, with Windows Server 2012 and System Center 2012 SP1. The waiting has been tough, and many customers have been on the edge before implementing Hyper-V without management. However, my experience is that many customers are moving away from VMware and jumps over to Hyper-V and System Center. V2V is probably my closest friend in these days, together with a couple of Logical Switches. More on that later in this blog post. So in this example, I would like to tell you about this enterprise customer who’s running major datacenters using VMware with vCenter. They were doing it all in the traditional way, using Fibre Channel from their hosts, connected to some heavy, expensive and noisy storage. So how did we present a better solution for them, more suited for the future, using technology from Microsoft? The customer would like to utilize their investments better, and do things more economically and cost effective, without losing any performance, functionality, availability and all the other factors you put into your SLA. Since this is a large environment, designed to scale. The first thing we did was to install Virtual Machine Manager. In a solution like this, VMM is key to streamline the configuration of Hyper-V hosts and manage the Fabric (pooled infrastructure resources). So since this would be a very important component, we installed VMM in a failover cluster as a HA role. With this baseline in place, we started to prepare the fabric. Instead of using the traditional way of delivering shared storage to the hosts, SMB3.0 was introduced as an alternative. The customer was interested to see the performance of this, and the ability to manage it from Virtual Machine Manager. In test environment, we setup the hosts with multiple storage options. o 2 x 10Gbe NICs in a NIC team, using dedicated virtual network adapters for SMB3.0 traffic, accessing a scale-out file server cluster. After testing this, the results were clear. 1. The customers had gained the same performance as using Fibre Channel. 2. In addition, they had now simplified management by using file shares instead of dedicating LUNs to their clusters, leading to better utilization. 3. Moreover, by better utilization, they were able to scale their clusters in a very new manner than before. 4. By calculating on this for production, they were able to reduce their costs significantly by using Ethernet infrastructure instead of Fibre Channel. And this was key, since they could leverage Ethernet and move away from HBA adapters on their hosts. The networking part was probably the most interesting in this scenario, because if you think about it, a Hyper-V cluster configuration is all about networking. And by using NIC teaming, QoS, network virtualization, SMB3.0 and more, it’s important to pay attention to the goal of the design as well as the infrastructure in general. Every host had 2 x 10Gbe modules installed. And the customer wanted Load Balancing and Failover on every network. Then, we created network sites and IP subnets with associated VLANs. For each logical network, we created a VM Network associated with the logical networks. Next, we created Native Port Profiles for the teams and the virtual adapters, and grouped them in Logical Switches. We prepared the Fabric additionally by integrating with PXE and WSUS for securing the life cycle management of the resources in the Fabric. All set. We started to deploy Hyper-V hosts, and streamlined the configuration by putting then into right hosts groups, applied logical switches and presented file shares to them. By taking a couple of steps back, I can clearly see that VMM is an absolute necessary framework for a highly available datacenter solution today. Almost every step was performed from the VMM console, and this was highly appreciated by the customer. The next steps was to deploy virtual machines and leverage the flexibility of templates, profiles and services. Ok, we had a Private Cloud infrastructure up and running, but still there was some work to do. Ok, if you want to perform this operation in bulk, converting many virtual machines at once, then you must either use your Powershell ninja skills combined with Orchestrator, or some secret tool from Microsoft that also involves Veeam. 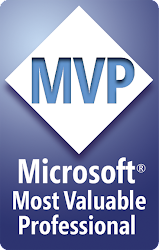 But if you want to take this slowly while doing other things simultaneously, then VMM is your friend. - Make sure you have a supported VMware infrastructure (5.1 is the only one that is supported but it might work if you are using 5.0 also). - Uninstall VMware tools manually on the VMs you will convert. - Power off the VMs afterwards. - Add both vCenter and then VMware ESX hosts/clusters in VMM. 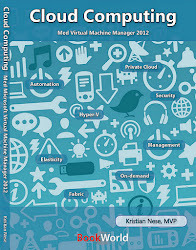 - Run Virtual 2 Virtual Conversion in Virtual Machine Manager. This is an ongoing process and will require some downtime for the VMs. An extra step by converting the VHDs to dynamically VHDX can also be evaluated. Hopefully this blog post gave you some ideas on how to leverage Windows Server 2012, Hyper-V and Virtual Machine Manager. Of course we integrated with Operations Manager as well, to get monitoring in place for our fabric and virtual machines. This is key to ensure availability and stable operations. The self-service solution landed on Katal, so that they could expose their Clouds/Stamps/Plans to their customers in a really good-looking UI with lots of functionality. I will cover this in a more detailed blog post later. Having the pleasure to represent Microsoft on a virtualization cruise (Norway) this weekend. It will be a great event, with lot of skilled people in the virtualization space. Companies like Microsoft, IBM, Red Hat, Citrix and VMware will be there. I will have a session, explaining Microsoft’s Cloud OS vision, and hopefully get in touch with the customers and partners to have some good discussions around virtualization and cloud management (System Center). So it will be nice to put on my “Ranger” hat again, serving the local Microsoft office in the virtualization war.